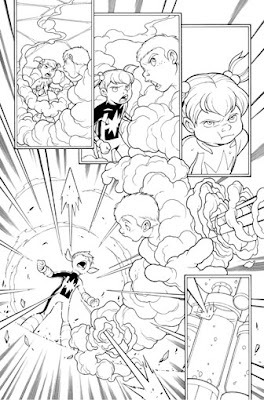 "Power Pack :DAY ONE" TPB is out just-ended month. 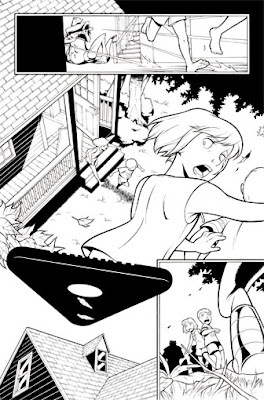 Story by FRED VAN LENTE, with art by GURIHIRU. 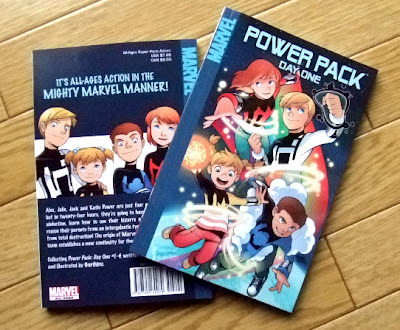 This digest-sized trade paperback collects Power Pack :DAY ONE #1-4. 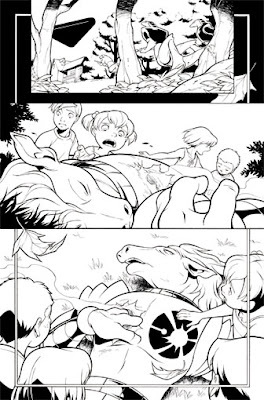 It tells the new origins of the Power Pack. Look for this in the comic shops if interested in this. You can order it also on Amazon. 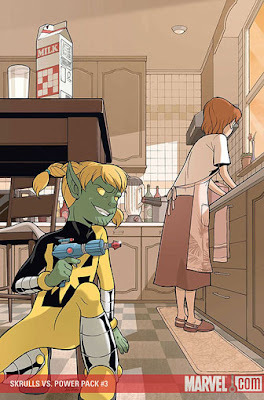 "Skrulls vs. Power Pack #2"
Story by FRED VAN LENTE, with art by CORY HAMSCHER,JACOPO CAMAGNI. GURIHIRU is cover art, coloring and fill in for a page. Yes, the covers are perfect. But the inside is still sh@t.
I don't know where this new girl came from but she doesn't make them look like kids the way you do. As a matter of fact (not to bash but...) the first time I arrived at the comic section and opened up "Skrulls vs Power Pack" I laughed. I seriously thought I'd accidently picked up an issue of "MAD" by mistake. That's what the "art" looked like, something you'd see in "MAD" magazines. Please. You've gotten us hooked on your story illustrating style. Now we NEED you in the series.